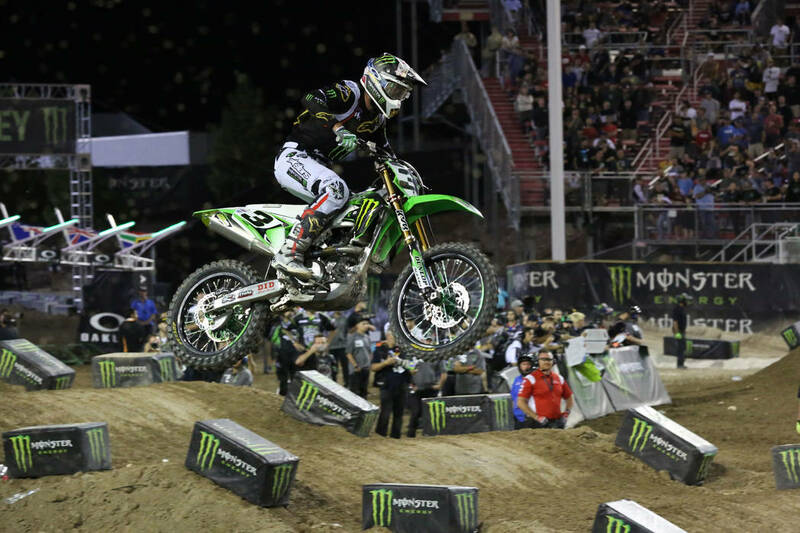 Eli Tomac become the second rider in as many years to ride away with a $1 million bonus for sweeping all three main events of the Monster Energy Cup, the AMA Supercross all-star race at Sam Boyd Stadium Saturday night. 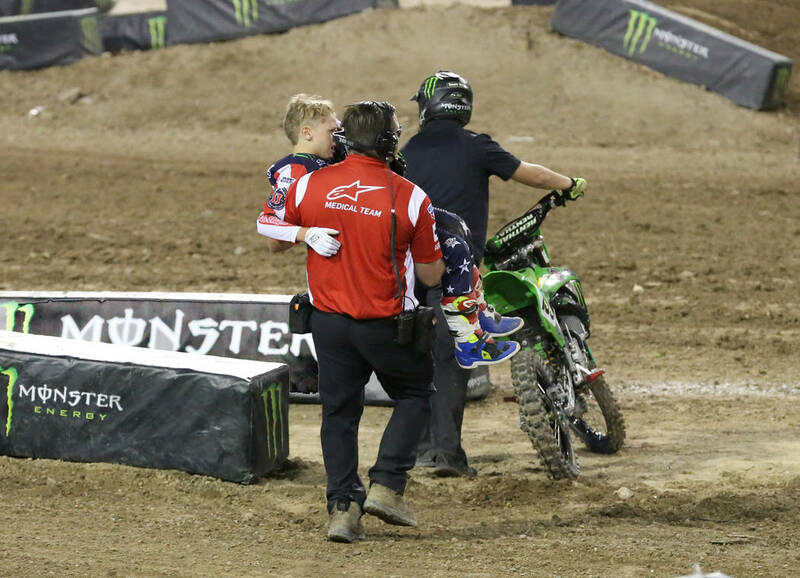 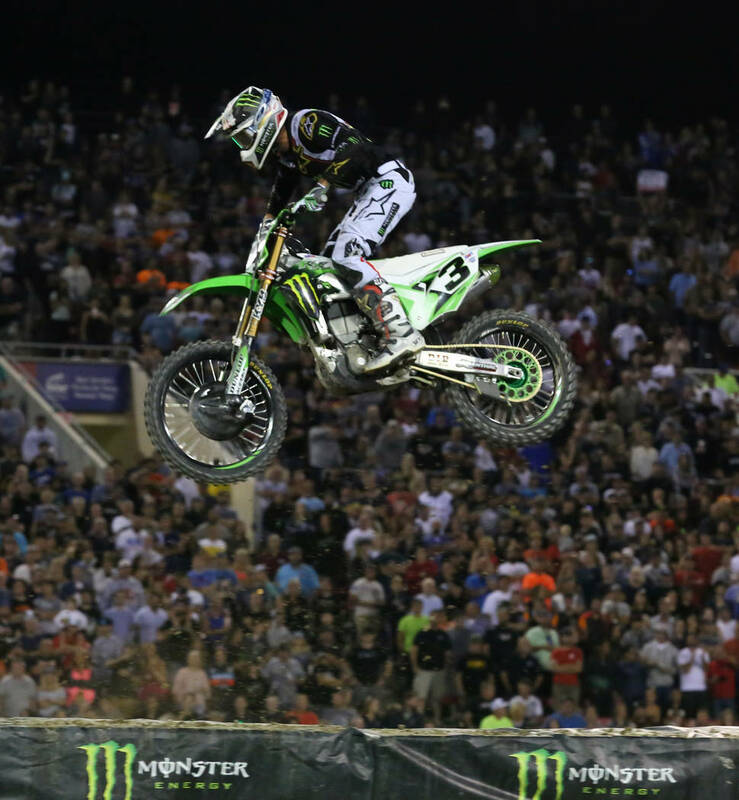 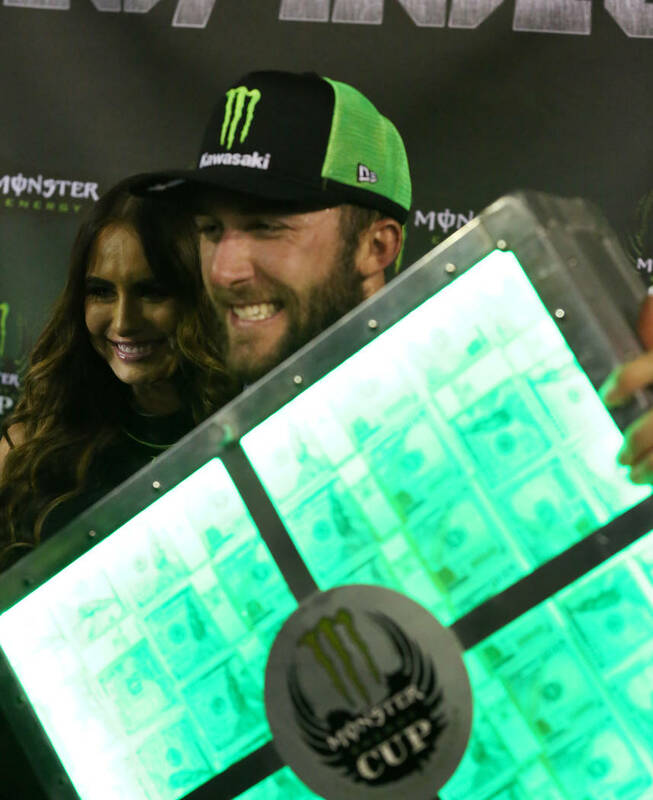 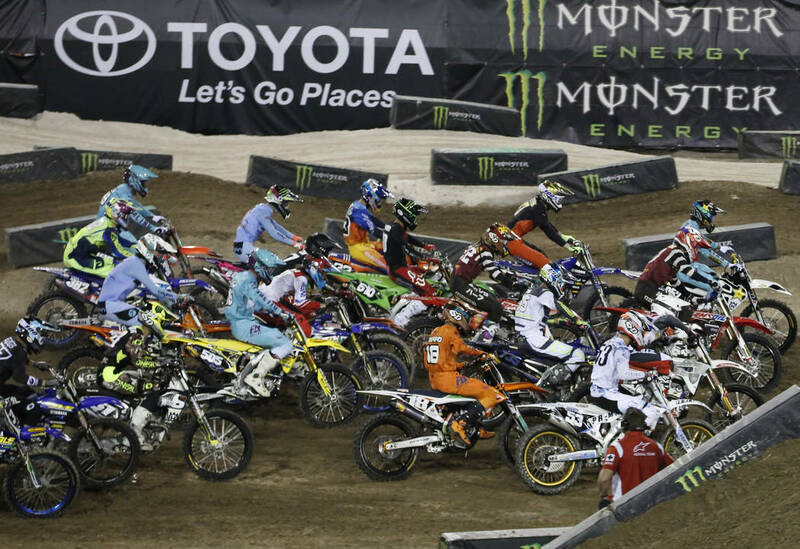 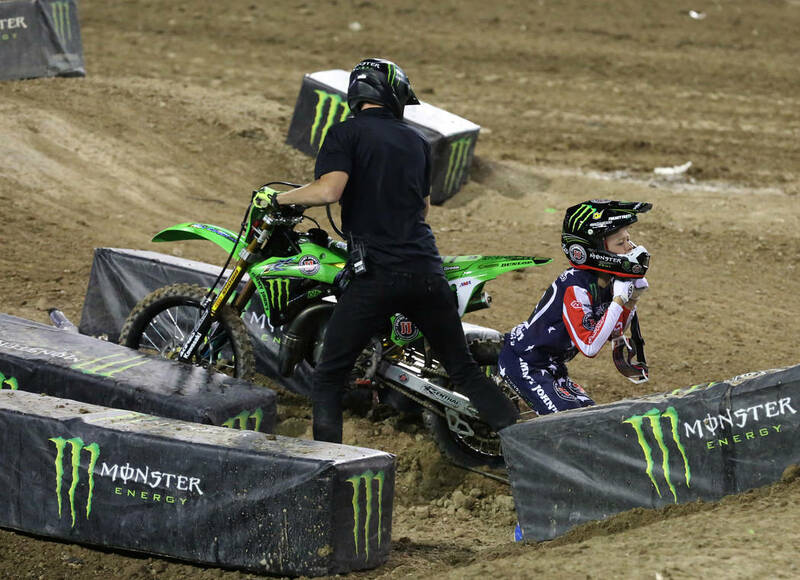 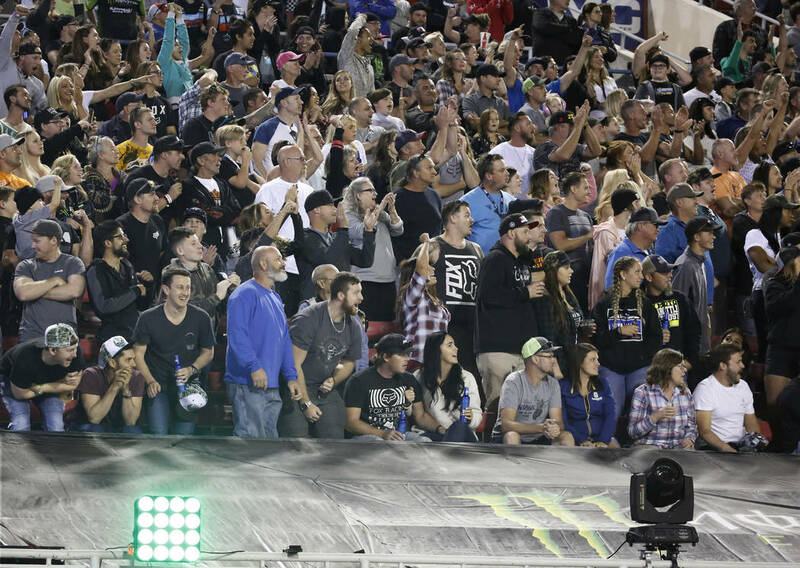 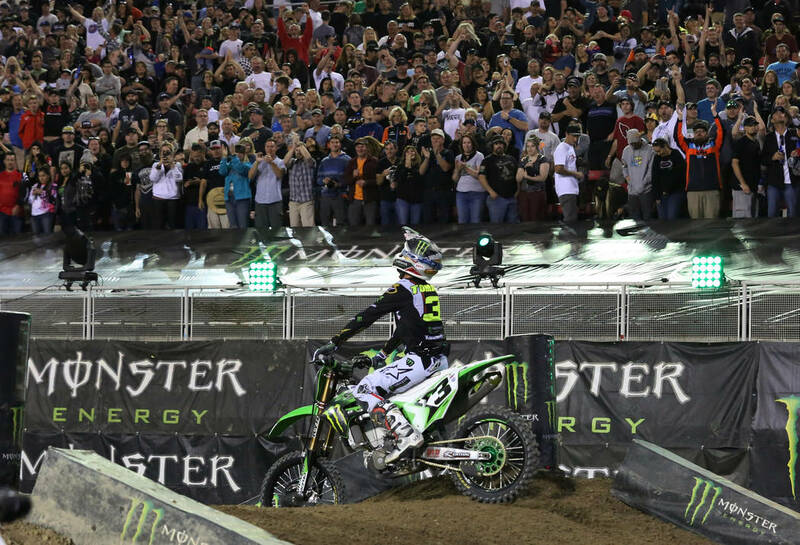 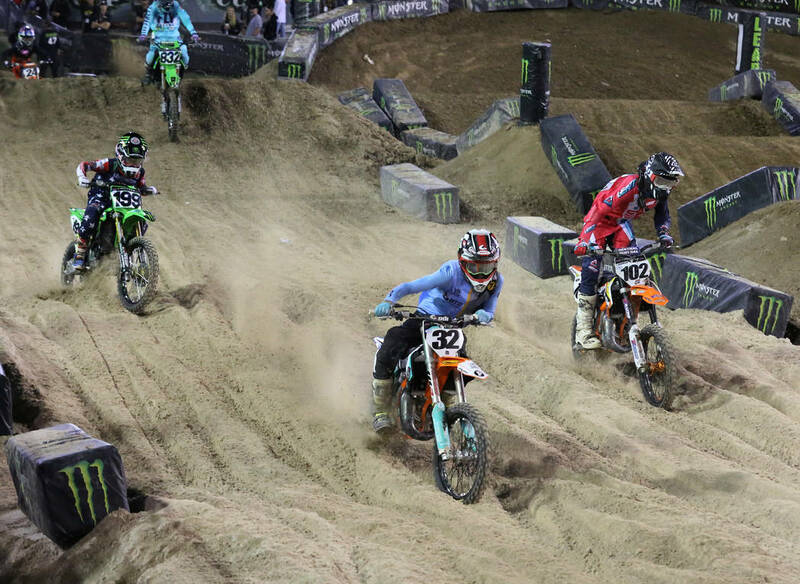 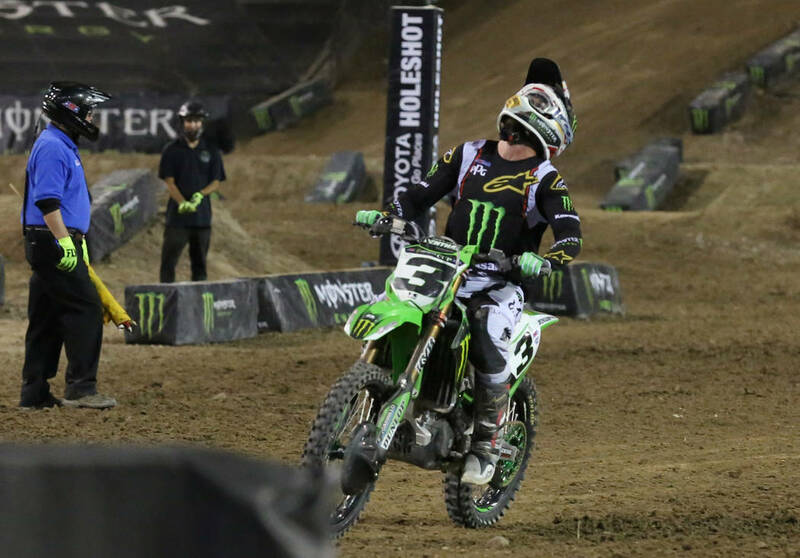 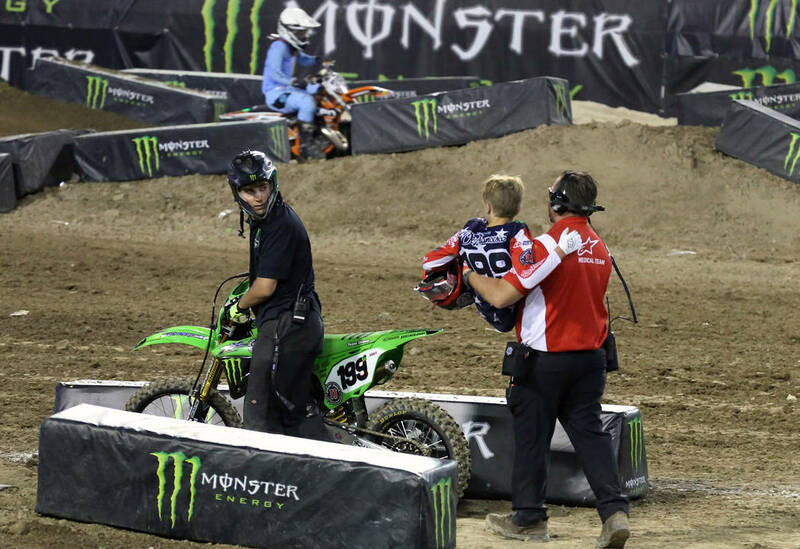 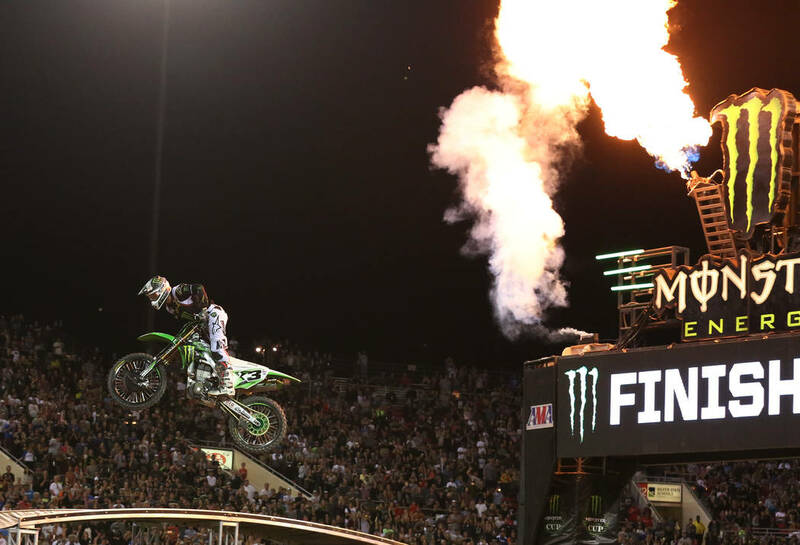 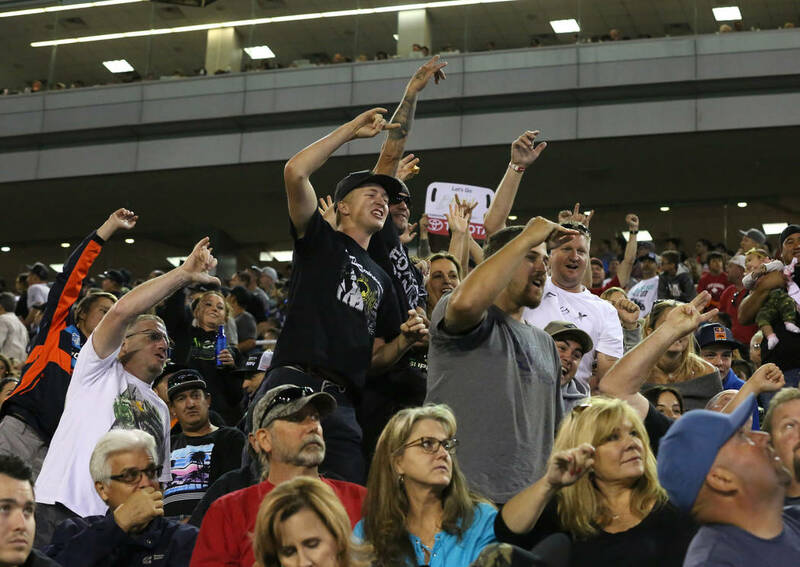 Eli Tomac became the second rider in as many years to ride away with a $1 million bonus for sweeping the three main events of the Monster Energy Cup Supercross all-star race at Sam Boyd Stadium Saturday night. 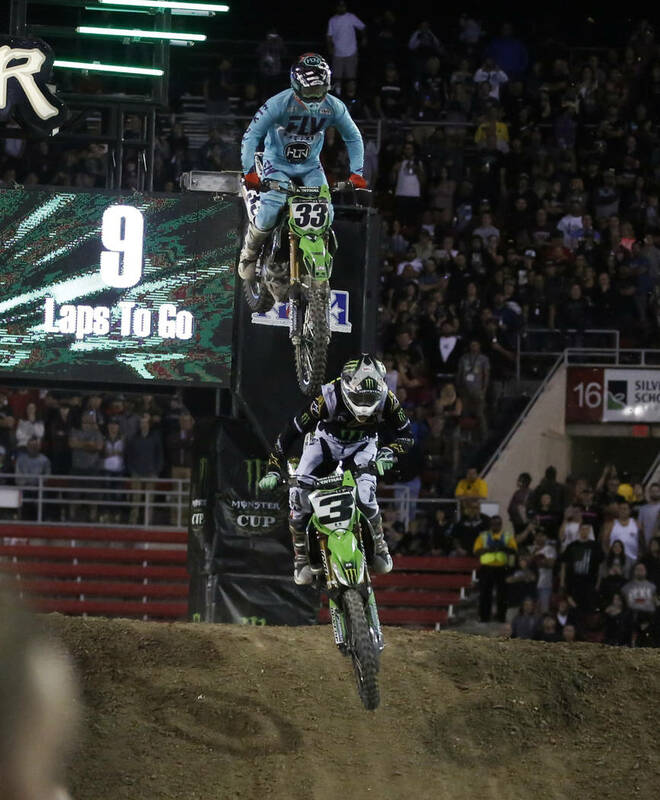 After cruising to easy wins in the first two motos, Tomac rallied from seventh place in the third to overtake fellow Kawasaki rider Joey Savatgy on the last lap of 10 as a capacity crowd roared in approval. 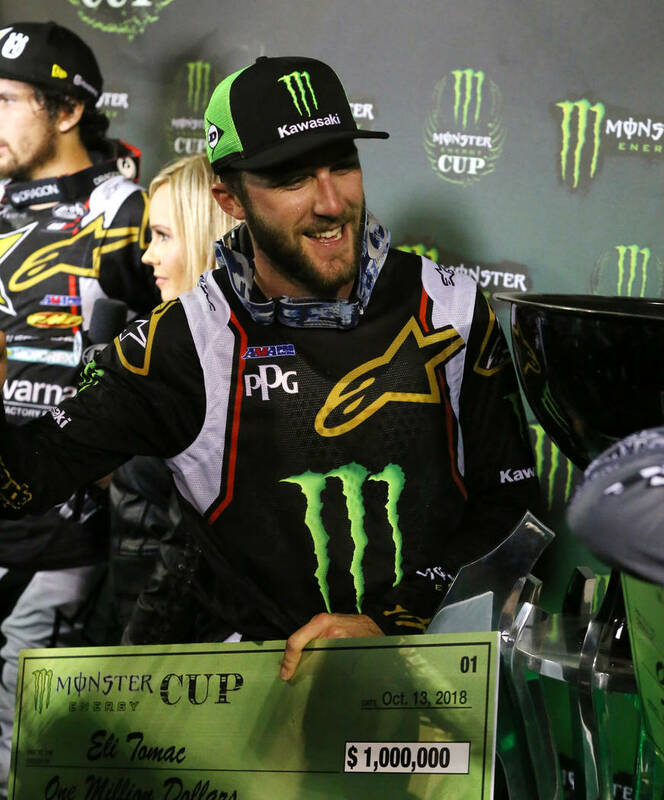 “I was just full on — that’s all there was to it,” said Tomac, 25, of Cortez, Colorado, who became the first repeat winner in the event’s eight-year history. 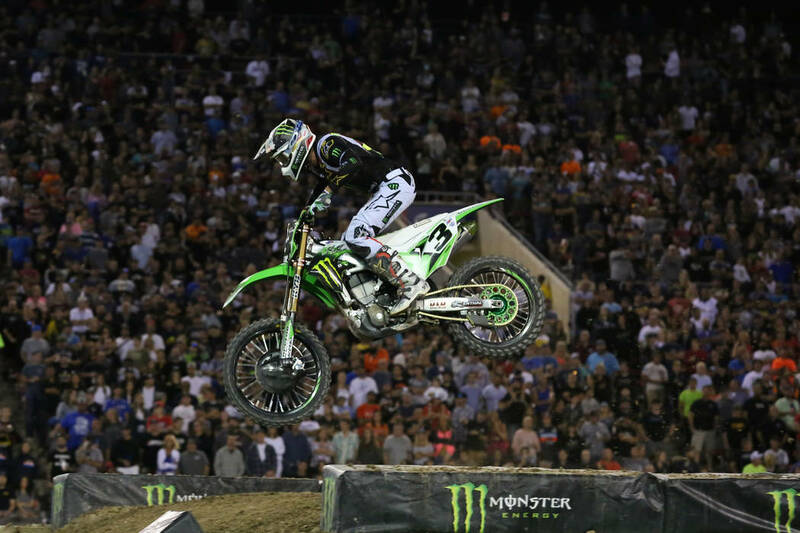 Tomac also was victorious in 2016 when he won just one of the three 10-lap races over jumps and high-banked turns. 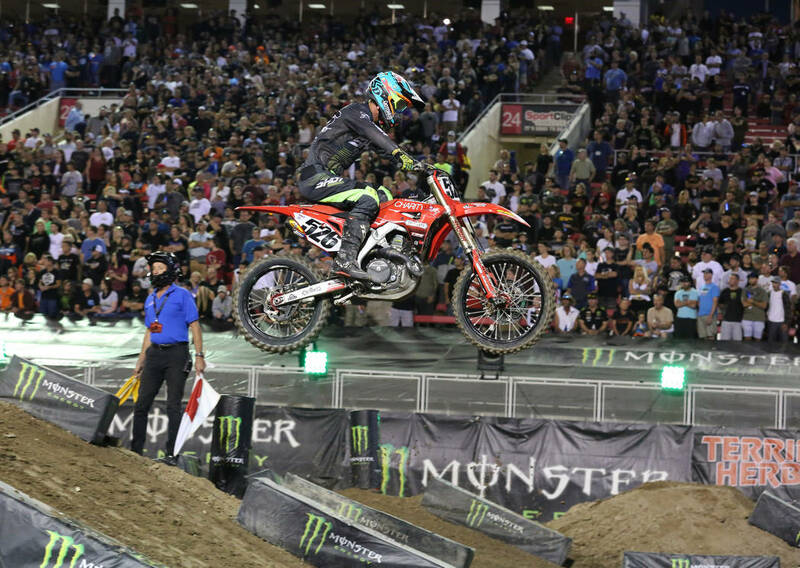 Reigning Supercross champion Jason Anderson finished second overall. 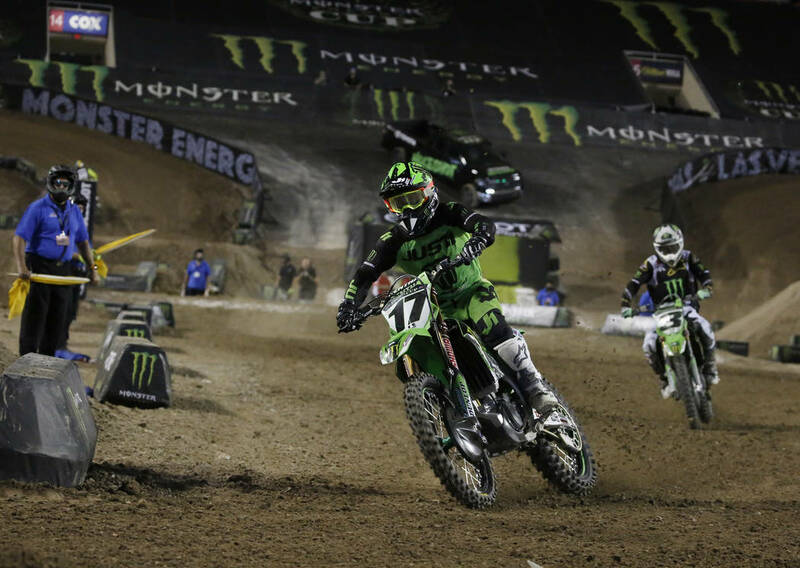 Savatgy, who was quick all night, settled for third in cumulative points after finishing second to Tomac in the million-dollar race. 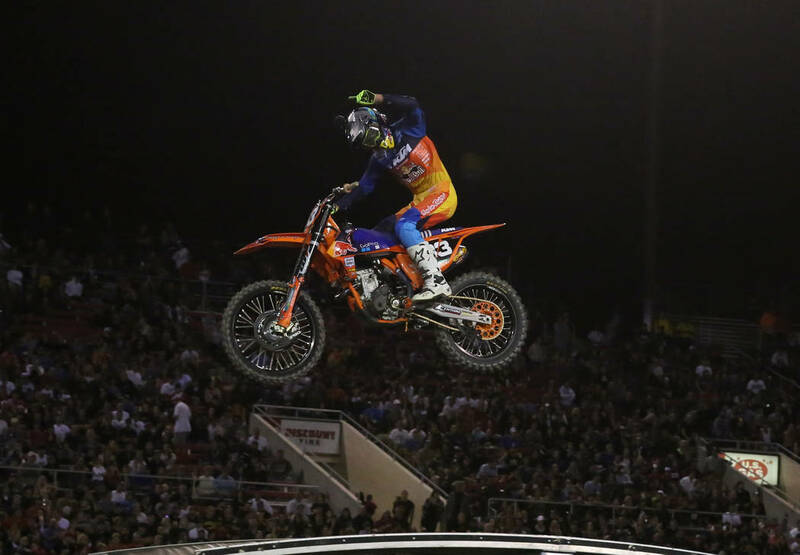 Savatgy grabbed the holeshot in the first main before Tomac pulled around him on the second lap and never looked back, taking the checkered flag 3.3 seconds ahead of 2017 Monster Energy Cup winner and million-dollar man Marvin Musquin on a KTM. 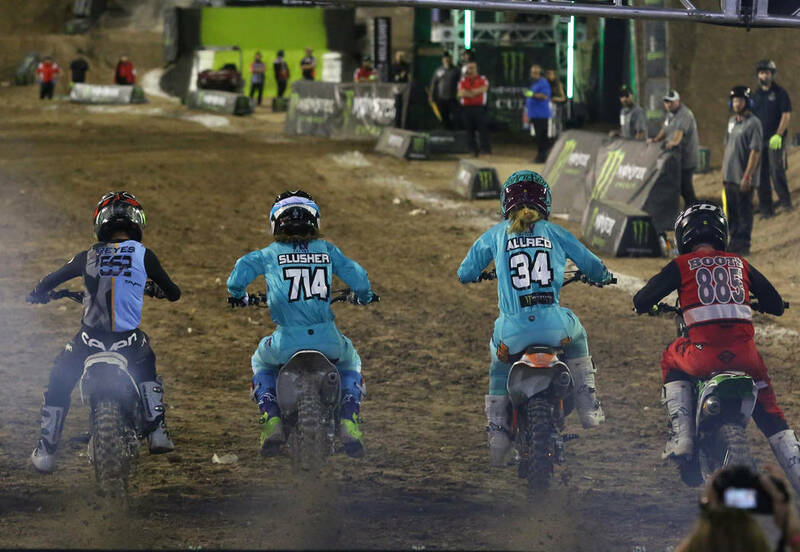 Anderson was third on a Husqvarna, with Justin Barcia (Yamaha) and Savatgy rounding out the top five. 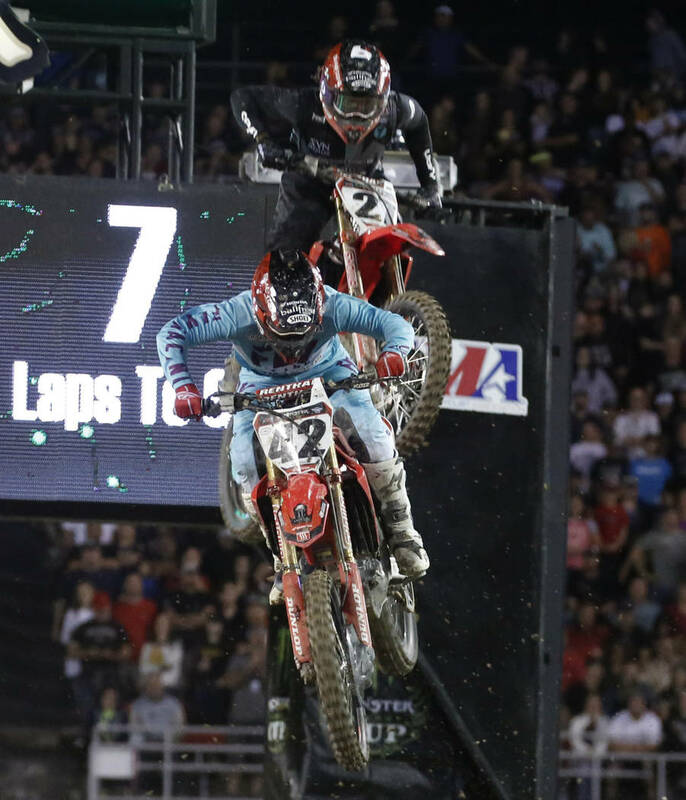 “We’re off to a flying start —we’re the only one who can do it now,” Tomac said before winning the second moto in more dominating fashion than he had the first. 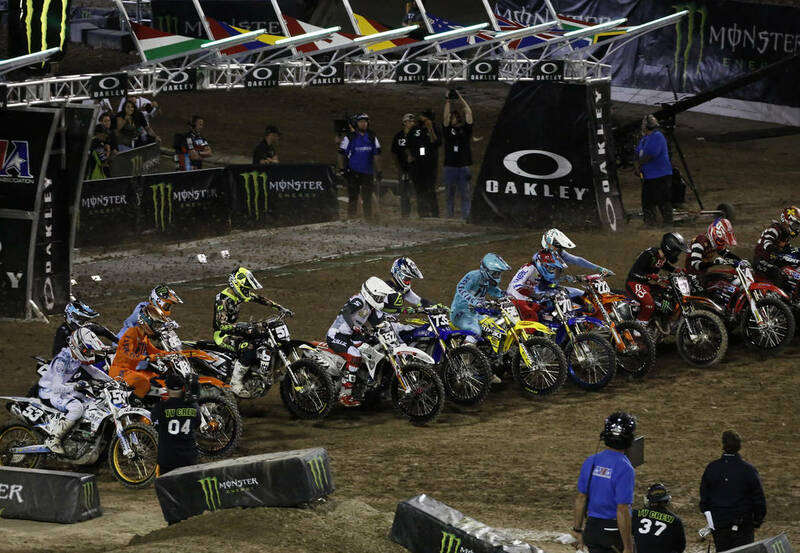 His margin of victory over second-place Barcia was a tidy 4.1 seconds. 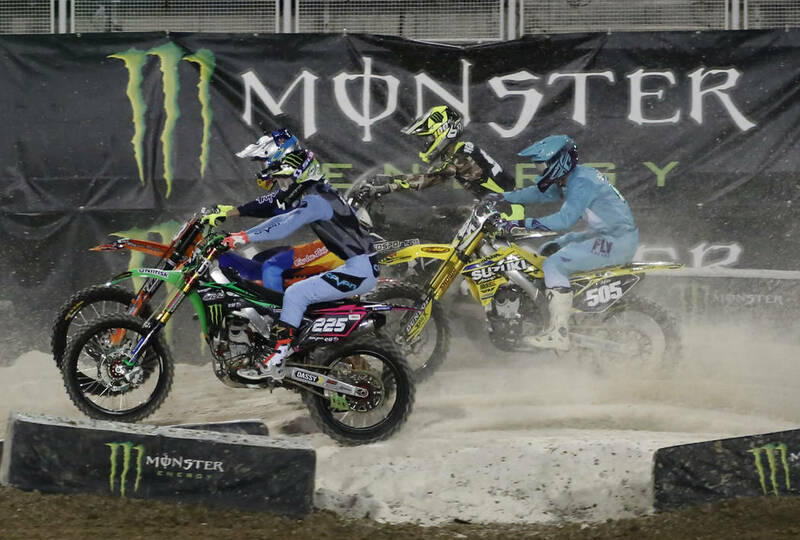 Joshua Grant (Kawasaki), Malcom Stewart (Honda) and Anderson finished third through fifth. 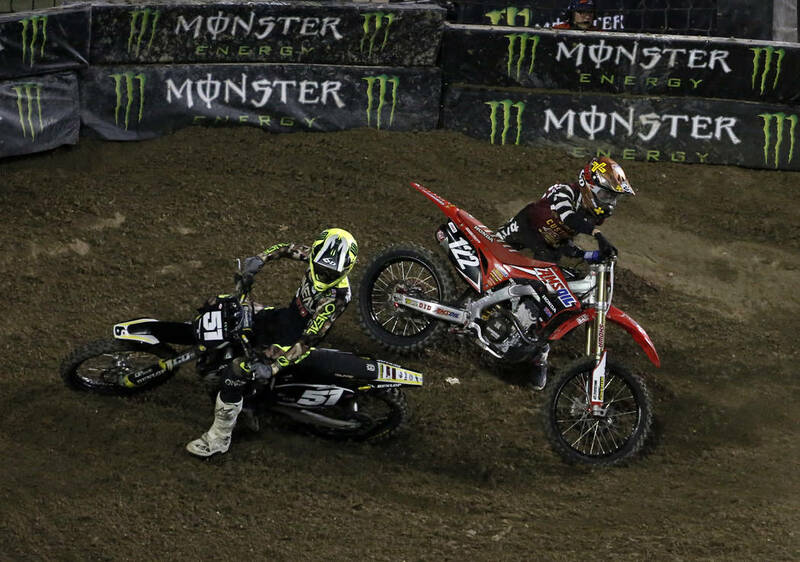 A crash under the Monster Energy bridge in the middle of the course eliminated Chad Reed’s Suzuki and Musquin from podium contention in the second main. 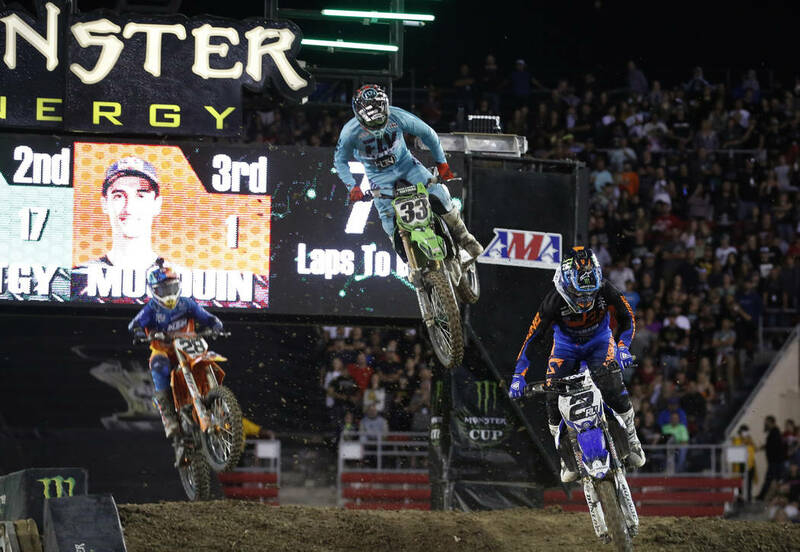 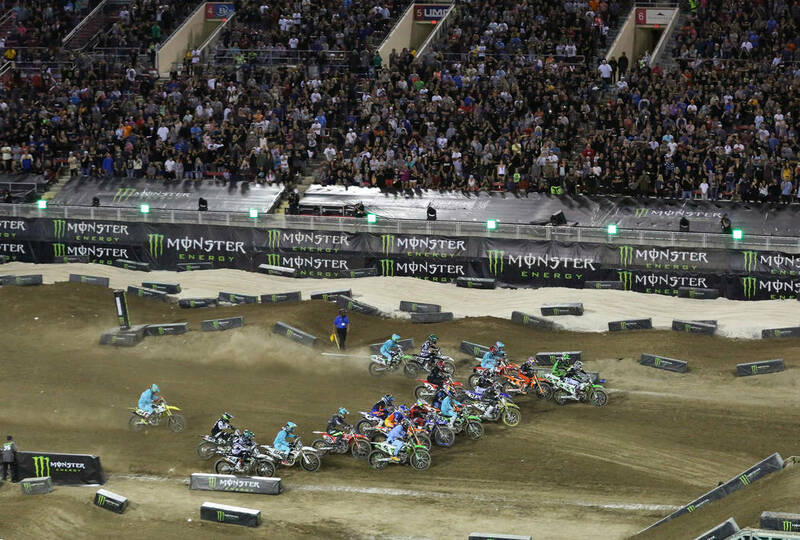 Musquin was trying to grab second place from Reed when the two collided on Lap 3. 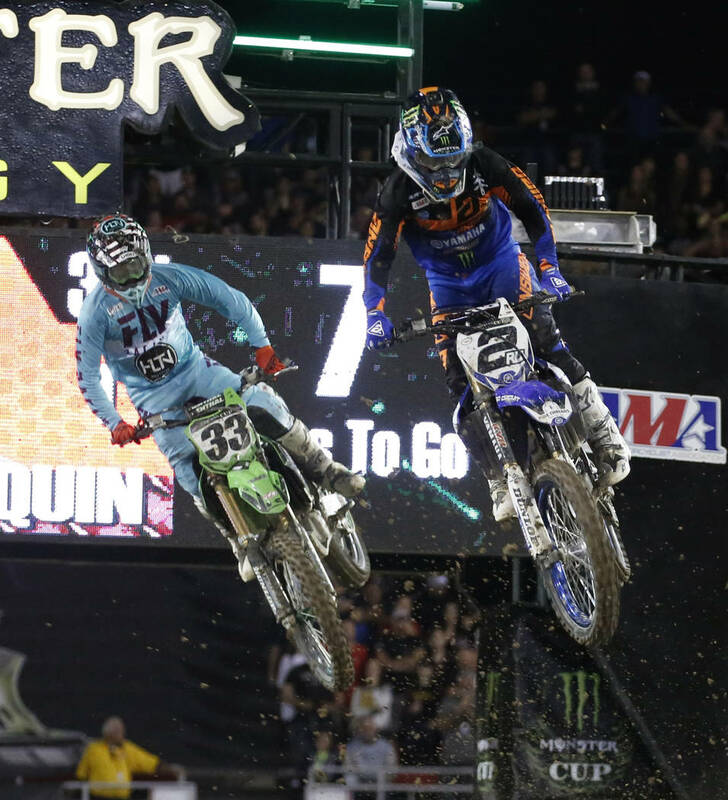 Both were able to restart with Musquin finishing a distant ninth and Reed 16th among the 22 starters.